Les Misérables is a French Historial Novell by Victor Hugo, first published in 1862, that is considered one of the greatest novels of the 19th century. Beginning in 1815 and culminating in the 1832 June Rebellion in Paris, the novel follows the lives and interactions of several characters, particularly the struggles of ex-convict une Rebel Jean Valijean and his experience of redemption. Examining the nature of law and grace, the novel elaborates upon the histroy of France, the architecture and urban design of Paris, politics, moral philosophy, antimonarchism, justice, religion, and the types and nature of romantic and familial love. 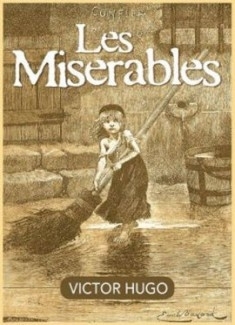 Les Misérables has been popularized through numerous adaptations for film, television and the stage, including a musical, but the classic novel is beautiful in and of itself.